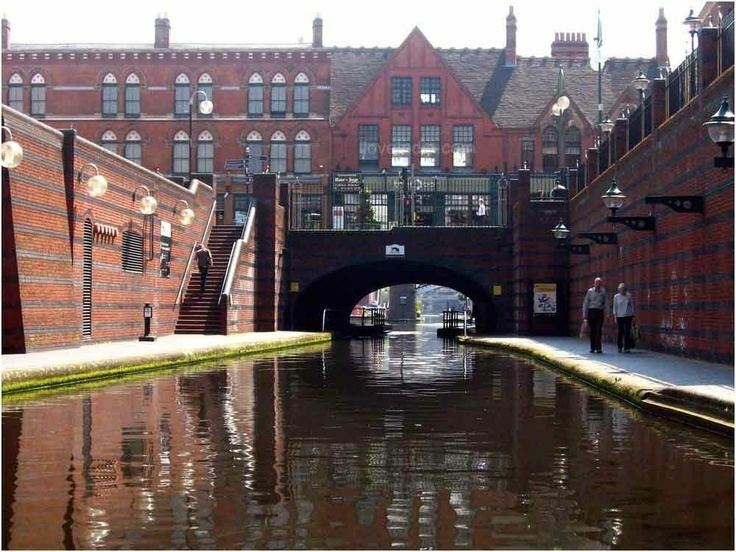 Birmingham ( locally ) is a city and metropolitan borough in the West Midlands, England. It is the most populous British city outside London with 1,092,330 residents (2013 est. ), and its population increase of 88,400 residents between the 2001 and 2011 censuses was greater than that of any other British local authority. The city lies within the West Midlands Built-up Area, the third most populous built-up area in the United Kingdom with 2,440,986 residents (2011 census), and its metropolitan area is the United Kingdoms second most populous with 3,701,107 residents (2012 est.). A medium-sized market town during the medieval period, Birmingham grew to international prominence in the 18th century at the heart of the Midlands Enlightenment and subsequent Industrial Revolution, which saw the town at the forefront of worldwide advances in science, technology and economic development, producing a series of innovations that laid many of the foundations of modern industrial society. 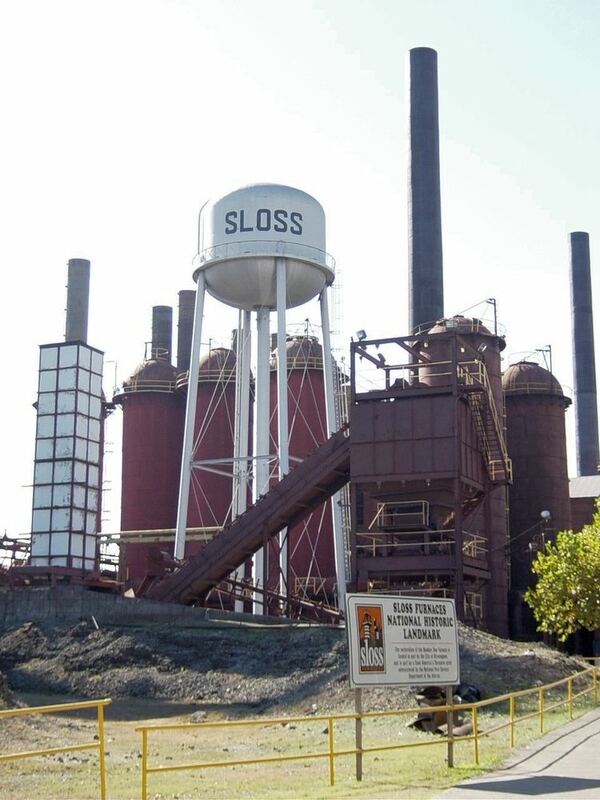 By 1791 it was being hailed as "the first manufacturing town in the world". Birminghams distinctive economic profile, with thousands of small workshops practising a wide variety of specialised and highly skilled trades, encouraged exceptional levels of creativity and innovation and provided a diverse and resilient economic base for industrial prosperity that was to last into the final quarter of the 20th century. Its resulting high level of social mobility also fostered a culture of broad-based political radicalism, that under leaders from Thomas Attwood to Joseph Chamberlain was to give it a political influence unparalleled in Britain outside London, and a pivotal role in the development of British democracy. Today Birminghams economy is dominated by the service sector. The city is a major international commercial centre, ranked as a beta? world city by the Globalization and World Cities Research Network; and an important transport, retail, events and conference hub. Its metropolitan economy is the second largest in the United Kingdom with a GDP of $121.1bn (2014), and its six universities make it the largest centre of higher education in the country outside London. Birminghams major cultural institutions – including the City of Birmingham Symphony Orchestra, the Birmingham Royal Ballet, the Birmingham Repertory Theatre, the Library of Birmingham and the Barber Institute of Fine Arts – enjoy international reputations, and the city has vibrant and influential grassroots art, music, literary and culinary scenes. Because of this, Birmingham vies for the title of the United Kingdoms Second city with main rivalry from Manchester. 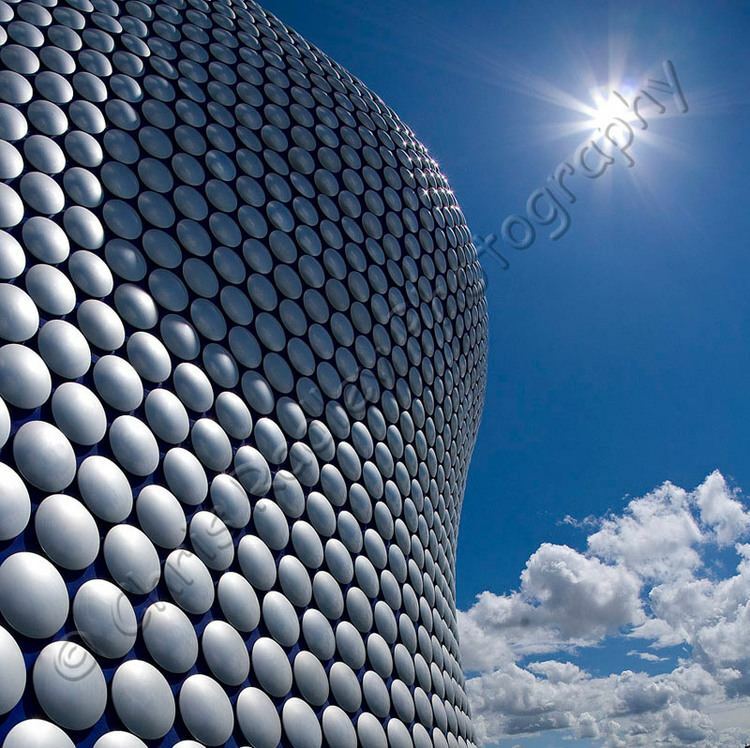 People from Birmingham are called Brummies, a term derived from the citys nickname of Brum. This originates from the citys dialect name, Brummagem, which may in turn have been derived from one of the citys earlier names, Bromwicham. There is a distinctive Brummie accent and dialect. Birminghams early history is that of a remote and marginal area. The main centres of population, power and wealth in the pre-industrial English Midlands lay in the fertile and accessible river valleys of the Trent, the Severn and the Avon. The area of modern Birmingham lay in between, on the upland Birmingham Plateau and within the densely wooded and sparsely populated Forest of Arden. There is evidence of early human activity in the Birmingham area dating back 10,000 years, with stone age artefacts suggesting seasonal settlements, overnight hunting parties and woodland activities such as tree felling. The many burnt mounds that can still be seen around the city indicate that modern humans first intensively settled and cultivated the area during the bronze age, when a substantial but short-lived influx of population occurred between 1700 BC and 1000 BC, possibly caused by conflict or immigration in the surrounding area. During the 1st-century Roman conquest of Britain, the forested country of the Birmingham Plateau formed a barrier to the advancing Roman legions, who built the large Metchley Fort in the area of modern-day Edgbaston in AD 48, and made it the focus of a network of Roman roads. Birmingham as a settlement dates from the Anglo-Saxon era. The citys name comes from the Old English Beormingah?m, meaning the home or settlement of the Beormingas – indicating that Birmingham was established in the 6th or early 7th century as the primary settlement of an Anglian tribal grouping and regio of that name. Despite this early importance, by the time of the Domesday Book of 1086 the manor of Birmingham was one of the poorest and least populated in Warwickshire, valued at only 20 shillings, with the area of the modern city divided between the counties of Warwickshire, Staffordshire and Worcestershire. The development of Birmingham into a significant urban and commercial centre began in 1166, when the Lord of the Manor Peter de Bermingham obtained a charter to hold a market at his castle, and followed this with the creation of a planned market town and seigneurial borough within his demesne or manorial estate, around the site that became the Bull Ring. This established Birmingham as the primary commercial centre for the Birmingham Plateau at a time when the areas economy was expanding rapidly, with population growth nationally leading to the clearance, cultivation and settlement of previously marginal land. Within a century of the charter Birmingham had grown into a prosperous urban centre of merchants and craftsmen. By 1327 it was the third-largest town in Warwickshire, a position it would retain for the next 200 years. Birmingham is located in the centre of the West Midlands region of England on the Birmingham Plateau – an area of relatively high ground, ranging between 500 and 1,000 feet (150–300 m) above sea level and crossed by Britains main north-south watershed between the basins of the Rivers Severn and Trent. To the south west of the city lie the Lickey Hills, Clent Hills and Walton Hill, which reach 1,033 feet (315 m) and have extensive views over the city. Birmingham is drained only by minor rivers and brooks, primarily the River Tame and its tributaries the Cole and the Rea. The City of Birmingham forms a conurbation with the largely residential borough of Solihull to the south east, and with the city of Wolverhampton and the industrial towns of the Black Country to the north west, which form the West Midlands Built-up Area covering 59,972 ha (600 km2; 232 sq mi). Surrounding this is Birminghams metropolitan area – the area to which it is closely economically tied through commuting – which includes the former Mercian capital of Tamworth and the cathedral city of Lichfield in Staffordshire to the north; the industrial city of Coventry and the Warwickshire towns of Nuneaton, Warwick and Leamington Spa to the east; and the Worcestershire towns of Redditch and Bromsgrove to the south west. Much of the area now occupied by the city was originally a northern reach of the ancient Forest of Arden, whose former presence can still be felt in the citys dense oak tree-cover and in the large number of districts such as Moseley, Saltley, Yardley, Stirchley and Hockley with names ending in "-ley": the Old English -l?ah meaning "woodland clearing". Birmingham grew to prominence as a manufacturing and engineering centre, but its economy today is dominated by the service sector, which in 2012 accounted for 88% of the citys employment. Birmingham is the largest centre in Great Britain for employment in public administration, education and health; and after Leeds the second largest centre outside London for employment in financial and other business services. It is ranked as a beta- world city by the Globalization and World Cities Research Network, the third highest ranking in the country after London and Manchester, and its wider metropolitan economy is the second-largest in the United Kingdom with a GDP of $121.1bn (2014 est., PPP). Two FTSE100 companies (Severn Trent and IMI plc, which is currently a FTSE250 company) have their corporate headquarters within Birmingham, with two more based in the wider metropolitan area, together forming the largest concentration outside London and the South East. With major facilities such as the National Exhibition Centre and International Convention Centre Birmingham attracts 42% of the UKs total conference and exhibition trade. The internationally renowned City of Birmingham Symphony Orchestras home venue is Symphony Hall. Other notable professional orchestras based in the city include the Birmingham Contemporary Music Group, the Royal Ballet Sinfonia and Ex Cathedra, a Baroque chamber choir and period instrument orchestra. The Orchestra of the Swan is the resident chamber orchestra at Birmingham Town Hall, where weekly recitals have also been given by the City Organist since 1834. The Birmingham Triennial Music Festivals took place from 1784 to 1912. Music was specially composed, conducted or performed by Mendelssohn, Gounod, Sullivan, Dvo?ák, Bantock and Edward Elgar, who wrote four of his most famous choral pieces for Birmingham. Elgars The Dream of Gerontius had its début performance there in 1900. Composers born in the city include Albert William Ketèlbey and Andrew Glover. Birminghams other city-centre music venues include The National Indoor Arena, which was opened in 1991, 02 Academy on Bristol Street, which opened in September 2009 replacing the 02 Academy in Dale End, The CBSO Centre, opened in 1997, HMV Institute in Digbeth and the Adrian Boult Hall at the Birmingham Conservatoire. During the 1960s Birmingham was the home of a music scene comparable to that of Liverpool. Although it produced no single band as big as The Beatles it was "a seething cauldron of musical activity", and the international success of groups such as The Move, The Spencer Davis Group, The Moody Blues, Traffic and the Electric Light Orchestra had a collective influence that stretched into the 1970s and beyond. The city was the birthplace of heavy metal music, with pioneering metal bands from the late 1960s and 1970s such as Black Sabbath, Judas Priest, and half of Led Zeppelin having come from Birmingham. The next decade saw the influential metal bands Napalm Death and Godflesh arise from the city. Birmingham was the birthplace of modern bhangra in the 1960s, and by the 1980s had established itself as the global centre of bhangra culture, which has grown into a global phenomenon embraced by members of the Indian diaspora worldwide from Los Angeles to Singapore. The 1970s also saw the rise of reggae and ska in the city with such bands as Steel Pulse, UB40, Musical Youth, The Beat and Beshara, expounding racial unity with politically leftist lyrics and multiracial line-ups, mirroring social currents in Birmingham at that time. Other popular bands from Birmingham include Duran Duran, Fine Young Cannibals, Ocean Colour Scene, The Streets, The Twang, Deluka and Dexys Midnight Runners. Musicians Jeff Lynne, Ozzy Osbourne, Tony Iommi, Bill Ward, Geezer Butler, John Lodge, Roy Wood, Joan Armatrading, Toyah Willcox, Denny Laine, Sukshinder Shinda, Steve Winwood, Jamelia, Fyfe Dangerfield and Laura Mvula all grew up in the city. Since 2012 the Digbeth-based B-Town indie music scene has attracted widespread attention, led by bands such as Peace and Swim Deep, with the NME comparing Digbeth to Londons Shoreditch, and The Independent writing that "Birmingham is fast becoming the best place in the UK to look to for the most exciting new music". Birmingham has two major public art collections. Birmingham Museum & Art Gallery is best known for its works by the Pre-Raphaelites, a collection "of outstanding importance". It also holds a significant selection of old masters – including major works by Bellini, Rubens, Canaletto and Claude – and particularly strong collections of 17th-century Italian Baroque painting and English watercolours. Its design holdings include Europes pre-eminent collections of ceramics and fine metalwork. The Barber Institute of Fine Arts in Edgbaston is one of the finest small art galleries in the world, with a collection of exceptional quality representing Western art from the 13th century to the present day. Thinktank is Birminghams main science museum, with a giant screen cinema, a planetarium and a collection that includes the Smethwick Engine, the worlds oldest working steam engine. Other science-based museums include the National Sea Life Centre in Brindleyplace, the Lapworth Museum of Geology at the University of Birmingham and the Centre of the Earth environmental education centre in Winson Green. Nightlife in Birmingham is mainly concentrated along Broad Street and into Brindleyplace. Although in more recent years Broad St has lost its popularity due to the closing of several clubs, the Arcadian now has more popularity in terms of nightlife. Outside the Broad Street area are many stylish and underground venues. The Medicine Bar in the Custard Factory, hmv Institute, Rainbow Pub and Air are large clubs and bars in Digbeth. Around the Chinese Quarter are areas such as the Arcadian and Hurst Street Gay Village, that abound with bars and clubs. Summer Row, The Mailbox, O2 Academy in Bristol Street, Snobs Nightclub, St Philips/Colmore Row, St Pauls Square and the Jewellery Quarter all have a vibrant night life. There are a number of late night pubs in the Irish Quarter. Outside the city centre is Star City entertainment complex on the former site of Nechells Power Station. Birmingham is home to many national, religious and spiritual festivals including a St. Georges Day party. The Birmingham Tattoo is a long-standing military show held annually at the National Indoor Arena. The Caribbean-style Birmingham International Carnival takes place in odd numbered years. Birmingham Pride takes place in the gay village and attracts up to 100,000 visitors each year. From 1997 until December 2006, the city hosted an annual arts festival ArtsFest, the largest free arts festival in the UK at the time. The citys largest single-day event is its St. Patricks Day parade (Europes second largest, after Dublin). Other multicultural events include the Bangla Mela and the Vaisakhi Mela. The Birmingham Heritage Festival is a Mardi Gras style event in August. Caribbean and African culture are celebrated with parades and street performances by buskers. Other festivals in the city include the Birmingham International Jazz Festival,"Party in the Park" was originally a festival hosted by local and regional radio stations which died down in 2007 and has now been brought back to life as an unsigned festival for regional unsigned acts to showcase themselves in a one-day music festival for the whole family. Birmingham Comedy Festival (since 2001; 10 days in October), which has been headlined by such acts as Peter Kay, The Fast Show, Jimmy Carr, Lee Evans and Lenny Henry, and the Off The Cuff Festival established in 2009. The biennial International Dance Festival Birmingham started in 2008, organised by DanceXchange and involving indoor and outdoor venues across the city. Since 2001, Birmingham has also been host to the Frankfurt Christmas Market. Modelled on its German counterpart, it has grown to become the UKs largest outdoor Christmas market and is the largest German market outside of Germany and Austria, attracting over 3.1 million visitors in 2010 and over 5 million visitors in 2011. Birminghams development as a commercial town was originally based around its market for agricultural produce, established by royal charter in 1166. Despite the industrialisation of subsequent centuries this role has been retained and the Birmingham Wholesale Markets remain the largest combined wholesale food markets in the country, selling meat, fish, fruit, vegetables and flowers and supplying fresh produce to restauranteurs and independent retailers from as far as 100 miles (161 km) away. As with any large town or city, food and drink has played an important role in the commerce and culture of Birmingham, England. During the 1830s, Thomas Ridgway began trading in the Bull Ring, selling tea. Ridgway later went bankrupt. Setting up business in London, he paid back all of his creditors and continued his tea trade, becoming one of the first English tea companies to hygienically prepack tea so as to avoid adulteration. In 1876, Queen Victoria commanded House of Ridgways to create a blend for her own personal use. In 1863, William Sumner (founder of Typhoo) published "A Popular Treatise on Tea". 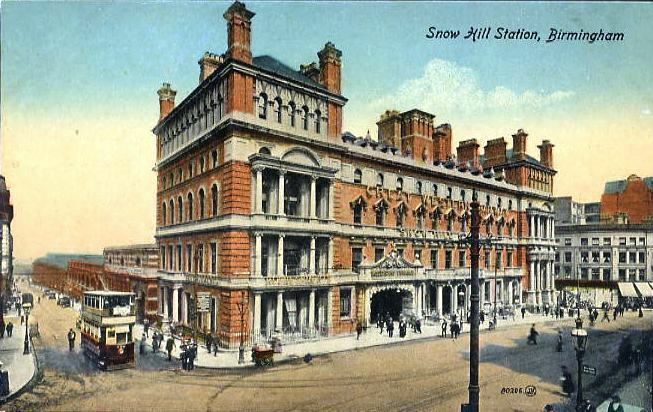 In 1870, Sumner started a pharmacy/grocery business on the High Street, Birmingham. This grew and forced Sumner to move to new premises on Castle Street and then on to Bordesley Street at the canalside. Typhoo was bought by Indian tea company Apeejay Surrendra Group on October 31, 2005. Birminghams earliest food trade connections with the West Indies involved the importation of limes and cocoa during the mid-to-late 19th century. Birmingham is the only English city outside London to have four Michelin starred restaurants: Simpsons in Edgbaston, Turners in Harborne and Purnells and Adams in the city centre. Birmingham based breweries included Ansells, Davenports and Mitchells & Butlers. Aston Manor Brewery is currently the only brewery of any significant size. Many fine Victorian pubs and bars can still be found across the city, whilst there is also a plethora of more modern nightclubs and bars, notably along Broad Street. The Wing Yip food empire first began in the city and now has its headquarters in Nechells. The Balti, a type of curry, was invented in the city, which has received much acclaim for the Balti Belt or Balti Triangle. Famous food brands that originated in Birmingham include Typhoo tea, Birds Custard, Cadburys chocolate and HP Sauce.